Protect your reputation and image from fake news reports. The Glean.info Fake News Monitoring Service helps protect companies, nonprofits and well-known individuals from fake news attacks by providing early warning of mentions in online fake news sites. The fake news monitoring service each day captures all the new content published by nearly 2,000 fake news sites. The service also monitors online fact-checking services to identify stories that the services are correcting. Glean.info monitors each fake news and fact-checker site many times per day for new content. Glean.info is the first and only media monitoring service that tracks new content in the thousands of known fake news sites. Clients choose up to five (5) corporate, brand or personal names to be monitored. They can also monitor keywords or phrases for issues. The Glean.info Fake News Media Monitoring service delivers timely email alerts to its clients when a potentially image-damaging story in fake news site mentions the subscribers’ key words. By being promptly alerted, organizations, individuals, or their PR agents can correct and repudiate false information to prevent it from spreading and causing a PR crisis. The Glean.info Fake News Monitoring Service is designed as an adjunct and complimentary service to traditional media monitoring services for online news, print, broadcast news and social media. 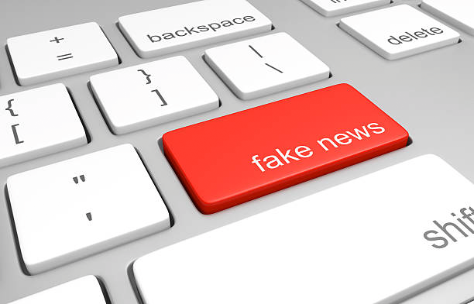 The fake news monitoring service can be ordered as a totally separate service by businesses that receive traditional media monitoring services from competitors of Glean.info. Unlike traditional media monitoring where the goal is to get many news and social media clips in the daily email report, the best result in fake news monitoring is zero (0) media mentions each day. The Glean.info email alerts are delivered daily even when there are no media clips. Because the service is designed as an early warning system at an affordable price for all size businesses and individuals, it does not typically include an archive of clips or measurement analytics. Subscribers to the fake news monitoring service can request that Glean.info add specific fake news sites that they want monitored. Fake news sites publish thousands of made-up news stories every day. Some fake news sites espouse extreme political views. Others publish fake news to attract website traffic and gain advertising income. Still others create satirical articles that can be misinterpreted as fact and cause the same problems as fake news. Other mischief-makers intentionally circulate misinformation or disinformation to create problems for their targets. Some sites spew hate. Pseudoscience sites misinterpret or misreport findings of scientific, medical or environmental studies. Most fake news sites have some type of agenda, but sometimes, there’s no accounting for why the fake news sites do what they do. The fake news stories are sometimes so convincing they trick traditional media outlets into running the phony claims, causing greater problems for the targets. Businesses, nonprofit organizations, entertainers, politicians and other well-known people never know when a fake news story might accuse them of criminal, immoral or bizarre behavior. Those fake news reports can damage reputations and brand images, sometimes irreparably if the accusations go viral and are picked up by traditional media outlets. Early warning can help the targeted organizations and individuals control the spread of the fake news stories. Although some fake news stories originate on social media, most start on fake news sites. The fake news stories are designed to look real in order to trick gullible social media users into sharing the posts. Some fake news sites intentionally mimic the names, appearances or domain names and URLs of legitimate online news outlets. Social media users often share fake news reports, causing them to go viral. The fake news creators often work one extreme side or the other of major social issues. A range of unscrupulous characters create and promote fake news about companies and celebrities. They include: anti-corporate activists, stock short sellers, disgruntled customers, political or social radicals, hate-mongers, hired hands of competitors, and even unethical publicity agents. Glean.info includes the fake news monitoring service in its traditional online, print, broadcast and social media monitoring services at no additional charge. The full media monitoring service includes extensive metrics and analytics. Comprehensive monitoring of more than 2,200 fake news sites. Monitoring of up to five corporate, brand or personal names or nicknames. Provides early warning of media mentions on fake news sites. Enables fast response to misinformation. Protects the reputation of an organization, brand name, or well-known individual including entertainers and politicians. A notorious fake news site spread a rumor that celebrity chef Gordon Ramsay rudely ejected Miami Dolphins players from his restaurant Social Gastropub in London for “taking a knee” during the national anthem before their game against the New Orleans Saints in London. Never happened. Pepsi was hit by a fake story claiming its CEO Indra Noori told Trump supporters to “take their business elsewhere.” Pepsi was also hit by a story claiming a worker at a Pepsi or Frooti plant contaminated beverage products by injecting HIV-infected blood into them. A fake Twitter account accused Connecticut Senator Richard Blumenthal of assault. Pro-Trump sites ran with the story. The charge was proven to be a hoax, but damage was done. In June 2017, a fake news article claimed that city officials in Richmond, VA, had delivered eviction and relocation notices to low-income residents in order to lower the poverty rate in the city. There was no truth to the story. Fake news sites reported that Malia Obama and members of anti-fascist groups (popularly called “antifa”) were arrested for attacking. A prank news article originating with fake news site React365 led to widespread rumors that Governor Terry McAuliffe had passed a law legalizing marijuana across Virginia. The claim is completely false. In September, prank news generator React365 reported that Dollar General was closing all stores on Oct. 1. The report became a widely-circulated rumor on social media with over 75,000 shares on Facebook. In November, the satirical fake news website Last Line of Defense published an article that Eileen Gunderson of Piedmont, N.D., a Planned Parenthood employee, had been arrested for using “aborted babies” as Halloween décor. It never happened. Numerous anti-vaccine web sites have reported that the DTaP (Diphtheria, Tetanus, and acellular Pertussis) vaccine manufactured by Sanofi and GlaxoSmithKline causes autism, leading many parents to reject vaccination of their children. The claim, oft-repeated on social media, is not true, as explained by Snopes, the fact-checking site. Fake news web sites capitalized on the tragedy of the October mass shooting in Las Vegas by claiming that Mandalay Bay security guard Jesus Campos was an accomplice in the shooting, further damaging the casino’s reputation. Not true.